Every modern phone user knows what an SMS is but not all know its potentials. As a Car dealership business owner, you can take advantage of the boom in phone proliferation to advertise and market your car brand. SMS is the shorthand for Short Message Service. SMS Marketing strategy use permission-based text messaging to broadcast promotional messages. It’s a form of advertising and marketing that lets businesses appeal to mobile device users. The potential of SMS marketing for business is huge. SMS can be sent to and received on any mobile device. 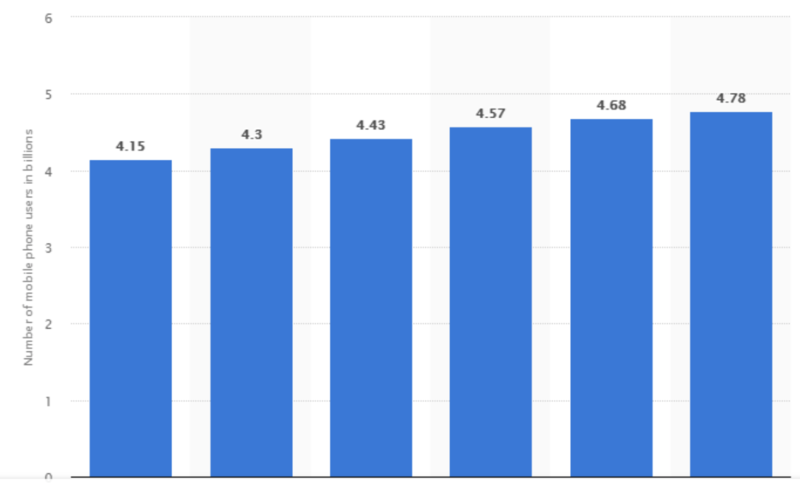 According to Statista, The number of mobile users will pass the 5 billion mark in 2019. Another report enumerated that 62.9 percent of the world population already owned a mobile phone. Further, SMS messages are almost always opened. Majority of phone users open their SMS; in fact, the open rate of text messages is as high as 98 percent. According to Forbes, 60% of consumers prefer SMS marketing to email marketing. The report of a study conducted in the US revealed that 37% of prospective buyers would like the dealership to text them and 46% want to continue to receive texts after purchase. As it is, SMS marketing strategy is a perfect way for your car dealership business to communicate with its customers. With SMS marketing strategy, your car dealership business can build a strong database of subscribers and increase customer loyalty. 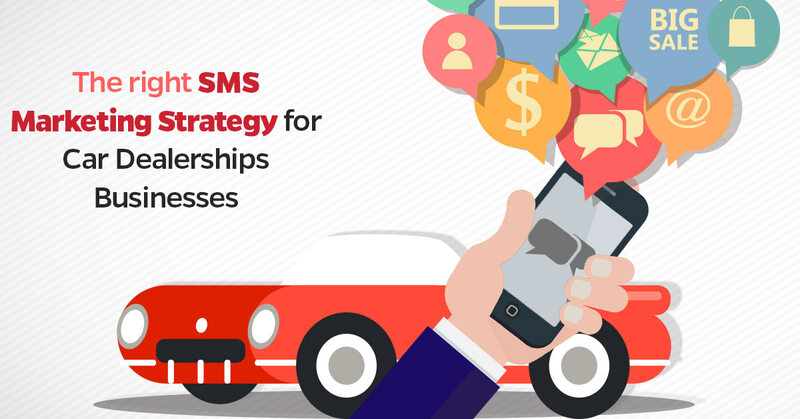 SMS marketing for business is a viable strategy for the automotive industry. Dealers generally have a high number of mobile numbers in their database. In this article, I will show you how to take advantage of the huge potential of SMS marketing strategy for your business and the pitfalls to avoid. Before we go into the specifics, generally, car dealers can use the SMS marketing strategy to achieve a higher response rate. SMS is 5 times more responsive than direct mail. SMS marketing strategy will also dramatically reduce your phone bills; a text message is far cheaper than calls to mobile phones. Setting up a bulk SMS account is also easy, no software download is required and you don’t have to be a tech-savvy to set up an account. This is an effective auto dealership SMS marketing strategy, however, there is some level of confusion around it. The confusion is about not breaking the data or privacy legislation. The caution here is, you can only send SMS to customers or prospects that have given you their number during previous conversation or previous business deals. You may also send SMS to customers or prospects that opted-in to your automated system by texting an initial shortcode. Once that is done, you have a legal basis to use such customers’ number in your SMS marketing strategy. The next area of caution has to do with the content of your SMS. You are only permitted to send SMS messages that are related to the initial broad subject of conversation. Do not send a lingerie promotion to someone that opted in for inquiry about a brand of Toyota car simply because she is female. Always include your company name – source of the message; your business telephone number – should the customer need to contact you, and an opt-out option – in case the customer does not want to receive further messages from you. A well-crafted message with obvious values and benefits will keep your customers on your message list and won’t even think of the opt-out option. The next SMS marketing strategy is don’t just sell; add value. Your SMS marketing strategy will be more effective if you are not pushy. 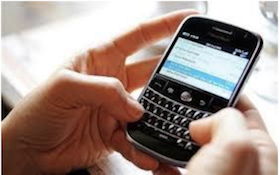 SMS marketing for business is not all about selling. If your customers get other benefits apart from sales and promo from you, you will gain their loyalty. You should see the mobile phone as what it is – a communication tool. Use SMS for communication on a broad range of subject that is related to cars generally. You could set up an SMS club where members will receive road and regular driving safety tips. You could also send reminders to check oil levels or tyre pressure. This SMS marketing strategy is very effective and rewarding when used correctly. Your business has a unique audience. In this SMS marketing strategy, you have to ensure that your SMS messages are relevant to your customer. Bear in mind that you can create several groups with unique similarities within your customer database. Sending out unique SMS tailored to meet specific group needs will give you a higher response rate. 4.SMS marketing Strategy: Increase e-mail campaigns open rate with SMS campaign. The goal of this SMS marketing strategy is to increase the open rate of your emails. Open rate of text messages is 98%, which is 78% higher than email marketing messages. Though both e-mail marketing and SMS marketing can stand alone as an SMS marketing strategy, your auto dealership business can combine both for a better result. SMS service is a powerful tool to alert your customers about an email arriving in their inbox. Use the text message to whet the appetite of your customers that they can’t wait to open their email. This type of specially crafted SMS will increase the open rate of your email campaigns. It is important to ensure that the emails are delivered as promised and not at a different day or time. It is better to work smarter and not necessarily harder. Automating your SMS marketing strategy is a smarter way of working. It will save your precious time. If you are familiar with Facebook Ads you can integrate it with your SMS campaigns. You can use LeadsBridge in your SMS automation process. Leadsbridge works with virtually all the marketing software out there – including Facebook Lead Ads. When properly set up, you will not manually export or import lead contacts into your SMS platform. Moreover, through LeadsBridge you can send a welcome SMS to your leads without using a third-party software. Give it a trial! Notification that Car is ready for collection – “Your car is ready for collection, please call in at the service department reception to pick your keys”. Sales lead generation – “The all-new XYZ has now arrived! Call our showroom on 0123456789 and we’ll deliver the car for you to test drive”. MOT/ Service Reminders – “Our record shows your car is now due for its service. Please call our Service Department and we’ll book it in at your convenience”. Parts now available – “The parts you ordered has arrived. Please call the Parts Departments”. Avoid the temptation of sending a bunch of irrelevant text messages to your subscriber list. Keep your SMS concise and clear. A standard SMS is 160 characters. Feel free if you have to exceed the standard. The shorter the better though. Tell your audience who you are and how to contact you. Don’t let them assume. Start your text with an ‘Attention Grabber’. The word ‘News’ is effective. Your content must be valuable to your customer. Remember, SMS Marketing for business is not all about selling. Have a strong Call-to-Action. Ask the customer to CALL NOW! The global increase in mobile devices has expanded the huge potential of SMS marketing for business. Every auto dealer can take advantage of the benefits associated with SMS marketing. For one – people are always attached to their phone. If you can get them to opt-in; they will never miss a message from you. The SMS marketing strategy discussed in this article can be used to increase customer loyalty, increase leads and generate revenue for your auto dealership business. Now is the best time to implement what you’ve learned. Start the SMS marketing strategy campaign for your business today! Check out our integrations with a great variety of SMS Gateways! Join this free webinar on 12th February, 10:00 AM (PST) and learn how SMS marketing is dramatically changing the way businesses connect with their audience.